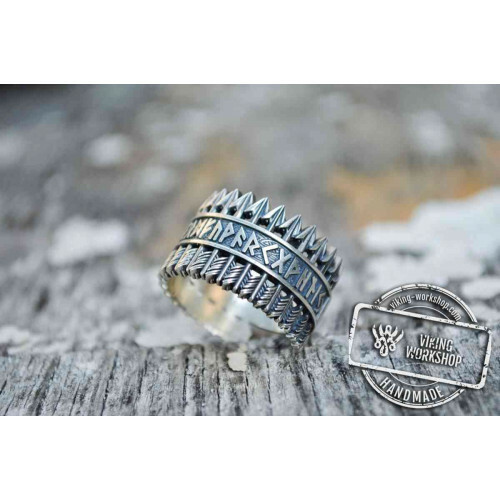 The yield of the Black Sun symbol in a stylish silver ring from the world famous viking-workshopThe Black Sun symbol has a very long history. Some experts argue that it originates over 5 thousand years ago, while others believe that the first foretyp.. 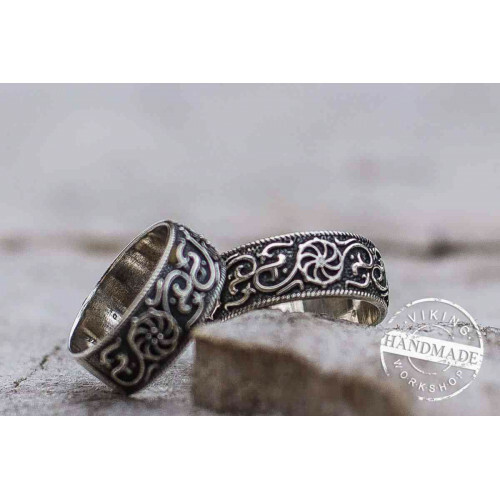 Unique handmade ringMade-to-order (you'll get the ring which is made individually with your size)Branded boxWorldwide shipping + Tracking numberCareful packagingMetal: 925 silver, sterling silverWeight: approx. 12 - 13 gThe weight of the ring depends.. 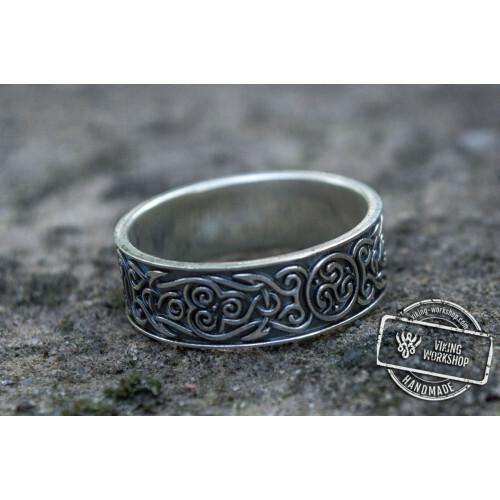 The ring with the symbol of the Black Sun is a unique talisman for being in touch with the ancestorsThe sacred symbol of the Black Sun is found throughout the history of mankind. 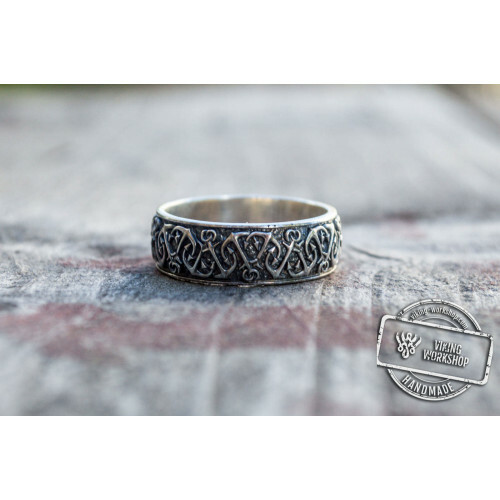 This symbol was extremely popular among the ancient Slavs, personifying..
Black Sun Symbol with HAIL ODIN Runes Sterling Silver Viking RingUnique handmade ringMade-to-order (you'll get the ring which is made individually with your size)Branded boxWorldwide shipping + Tracking numberCareful packagingMetal: 925 silver, sterl..
14K Gold Valknut Symbol Ring with HAIL ODIN Runes Viking JewelryUnique handmade ringMade-to-order (you'll get the ring which is made individually with your size)Branded boxWorldwide shipping + Tracking numberCareful packagingMetal: Gold 14KWeight: ap.. 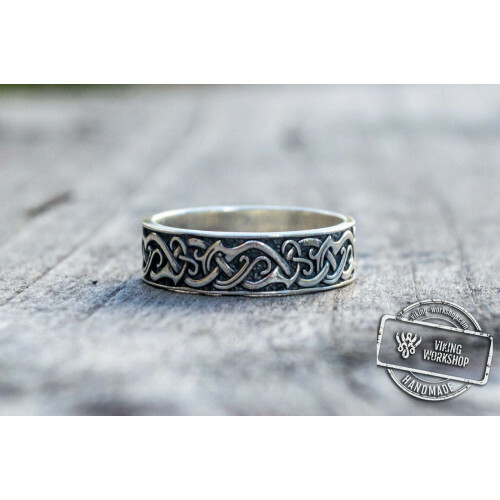 Arrows Ring with Elder Futhark Runes Sterling Silver Viking Jewelry Unique handmade ring Made-to-order (you'll get the ring which is made individually with your size) Branded box Worldwide shipping + Tracking number Careful packaging Metal:..
Beautiful Slavic Ornament Sterling Silver Unique Ring Unique handmade ring Made-to-order (you'll get the ring which is made individually with your size) Branded box Worldwide shipping + Tracking number Careful packaging Metal: 925 silver, s..
Svadebnik Sterling Silver Pagan Ring Unique handmade ring Made-to-order (you'll get the ring which is made individually with your size) Branded box Worldwide shipping + Tracking number Careful packaging Metal: 925 silver, sterling silve..
Anchor Ornament Ring Sterling Silver Handcrafted Jewelry Unique handmade ring Made-to-order (you'll get the ring which is made individually with your size) Branded box Worldwide shipping + Tracking number Careful packaging Metal: 925 silver..
Beautiful Ornament Ring Gold Viking Jewelry Unique handmade ring Made-to-order (you'll get the ring which is made individually with your size) Branded box Worldwide shipping + Tracking number Careful packaging Metal: 14K or 18K Gold Weight..
Beautiful Ornament Ring Sterling Silver Viking Jewelry Unique handmade ring Made-to-order (you'll get the ring which is made individually with your size) Branded box Worldwide shipping + Tracking number Careful packaging Metal: 925 silver, ..
Beautiful Ornament Ring with White Cubic Zirconia Sterling Silver Viking Jewelry Unique handmade ring Made-to-order (you'll get the ring which is made individually with your size) Branded box Worldwide shipping + Tracking number Careful packag..
Gold Spanner Ring Unique Handmade Jewelry Unique handmade ring Made-to-order (you'll get the ring which is made individually with your size) Branded box Worldwide shipping + Tracking number Careful packaging Metal: 14K or 18K Gold (Yellow .. 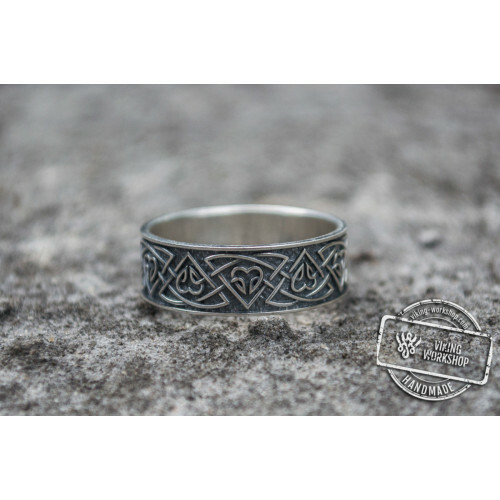 Native American Ornaments Ring Sterling Silver Handcrafted Jewelry Unique handmade ring Made-to-order (you'll get the ring which is made individually with your size) Branded box Worldwide shipping + Tracking number Careful packaging Metal:..
Ornament Ring Gold Handcrafted Jewelry Unique handmade ring Made-to-order (you'll get the ring which is made individually with your size) Branded box Worldwide shipping + Tracking number Careful packaging Metal: 14K or 18K Gold Weight: app..
Ornament Ring Sterling Silver Handcrafted Jewelry Unique handmade ring Made-to-order (you'll get the ring which is made individually with your size) Branded box Worldwide shipping + Tracking number Careful packaging Metal: 925 silver, sterl..
Ornament Ring Sterling Silver Unique Jewelry Unique handmade ring Made-to-order (you'll get the ring which is made individually with your size) Branded box Worldwide shipping + Tracking number Careful packaging Metal: 925 silver, sterling s..
Ornament Style Ring Sterling Silver Handmade Jewelry Unique handmade ring Made-to-order (you'll get the ring which is made individually with your size) Branded box Worldwide shipping + Tracking number Careful packaging Metal: 925 silver, st..
Ring with Norse Ornament and Cubic Zirconia Sterling Silver Viking Jewelry Unique handmade ring Made-to-order (you'll get the ring which is made individually with your size) Branded box Worldwide shipping + Tracking number Careful packaging ..
Ring with Norse Ornament and Red Cubic Zirconia Sterling Silver Handmade Jewelry Unique handmade ring Made-to-order (you'll get the ring which is made individually with your size) Branded box Worldwide shipping + Tracking number Careful packag..
Ring with Norse Ornament Gold Viking Jewelry Unique handmade ring Made-to-order (you'll get the ring which is made individually with your size) Branded box Worldwide shipping + Tracking number Careful packaging Metal: 14K or 18K Gold Weigh..
Ring with Norse Ornament Sterling Silver Viking Jewelry Unique handmade ring Made-to-order (you'll get the ring which is made individually with your size) Branded box Worldwide shipping + Tracking number Careful packaging Metal: 925 silver,..
Ring with Ornament Sterling Silver Viking Jewelry Unique handmade ring Made-to-order (you'll get the ring which is made individually with your size) Branded box Worldwide shipping + Tracking number Careful packaging Metal: 925 silver, sterl..
Shield with Heraldic Cross Ring Sterling Silver Handcrafted Jewelry Unique handmade ring Made-to-order (you'll get the ring which is made individually with your size) Branded box Worldwide shipping + Tracking number Careful packaging Metal:..
Slavic Ornament Ring Sterling Silver Pagan Jewelry Unique handmade ring Made-to-order (you'll get the ring which is made individually with your size) Branded box Worldwide shipping + Tracking number Careful packaging Metal: 925 silver, ster..
Slavic Ornament Ring with Cubic Zirconia Sterling Silver Pagan Jewelry Unique handmade ring Made-to-order (you'll get the ring which is made individually with your size) Branded box Worldwide shipping + Tracking number Careful packaging Met.. The symbolism has played an important role in the life of the ancient Slavs. The symbols accompanied them on the battlefield, in work and home life. 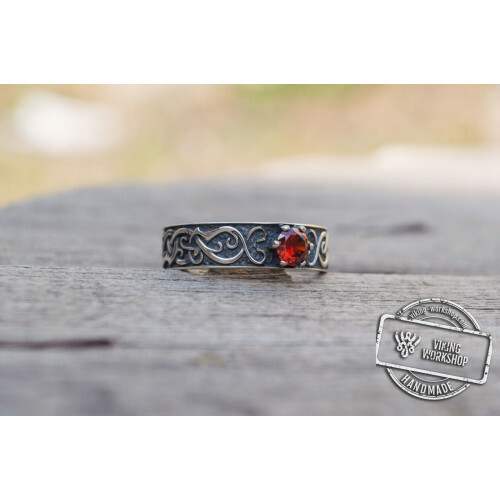 Slavic temple rings protect lovers from evil spirits, enemy curses, ailments and life hardships. 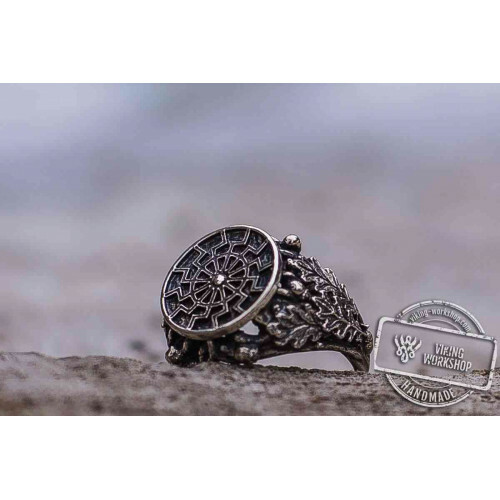 Symbols depicting mythic creatures and objects were applied on each ring: Fern Flower, Lotus, Kolovrat, symbol of Volos and Perun Star. 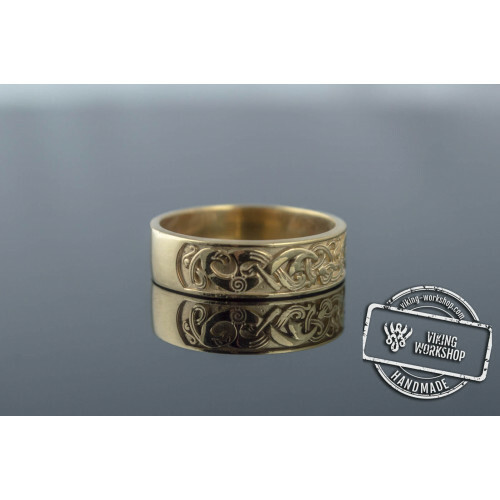 The closed shape of the ring helped to store and accumulate energy within the family and use it to achieve important life goals. Do you strive to build a happy and long life with a person dear to you? 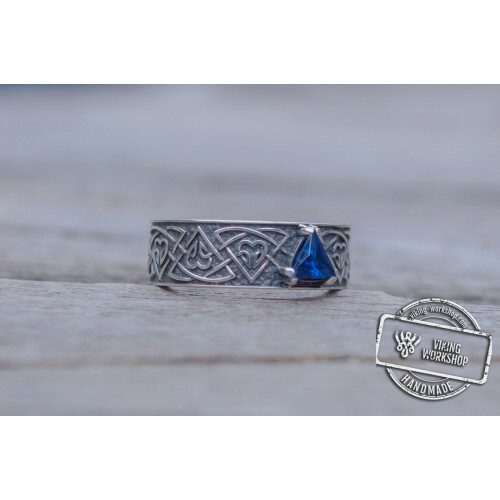 Do you want the protection of ancient Slavic gods? 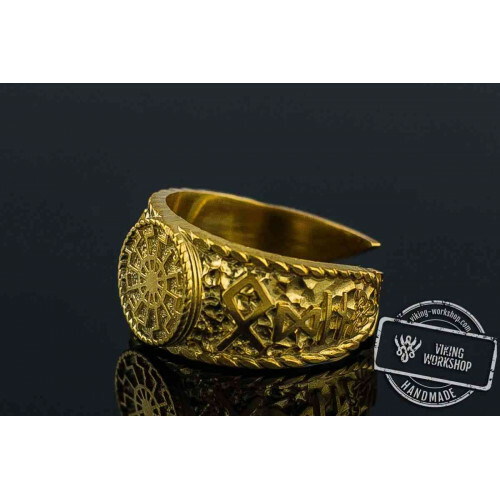 Slavic temple rings will help you gain confidence in the face of destiny and become the master of life. 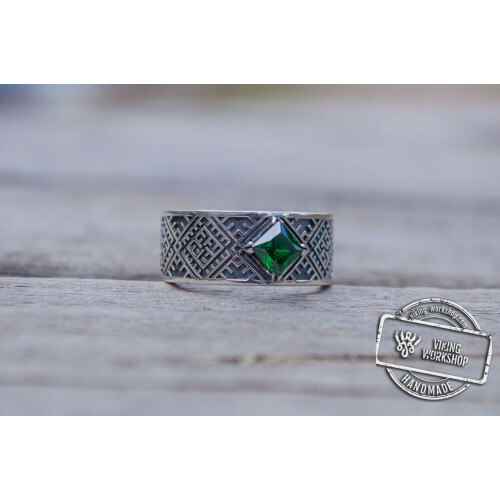 In today's world, a lot of attention is paid to the aesthetic value of jewelry. 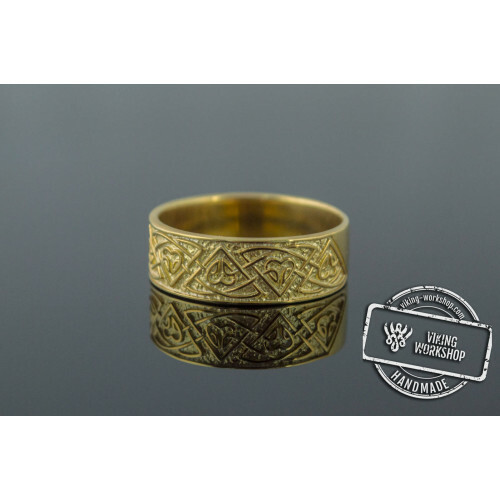 Unique Slavic rings made from precious metals, can "teach" many modern products a thing or two. Unique patterns and shapes, invented by craftsmen many centuries ago, will match any man's image, and add brutality and sexuality to the wearer. 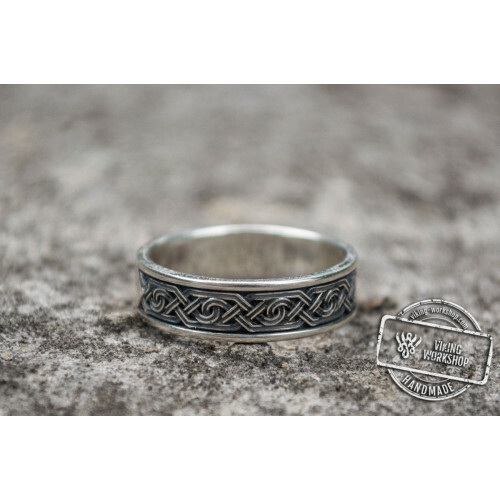 You can order Slavic rings with delivery to anywhere in the US and Canada only on our website. We are the best at what we do! 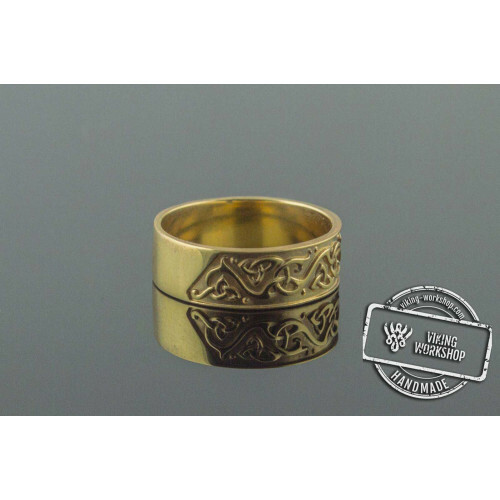 Silver and gold Slavic rings for sale at affordable prices are now collected in one place and are waiting for you! Our store is perfect for true connoisseurs of the Slavic people's history. 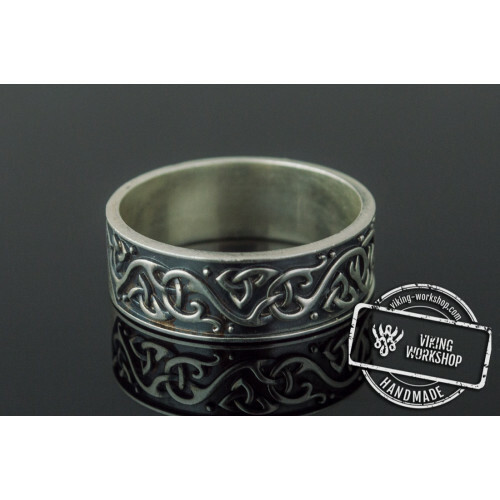 And you can order custom-made Slavic wedding rings using your own design. For an additional fee, negotiated in advance, you can refer to our craftsmen and discuss all the details, such as materials used and ornamental patterns and shape of the product. 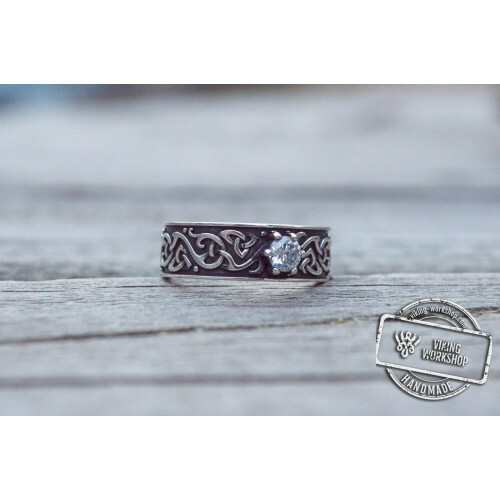 Making a loved one happy with unique jewelry is now easier than ever!